July 2, 2014, 2:16 pm NST - If you participated in this year's Altador Cup, you can now collect your trophy and spend your prize points! July 2, 2014, 10:27 am NST - With the Altador Cup coming to an end later today, it's time to evaluate the Cup! As with last year, we are posting our AC team's thoughts about the Cup. But what we're more interested in is hearing from you! We're gathering AC feedback on a neoboard, and we'd love you to contribute - we'll send off all the replies we get in a feedback ticket to TNT. July 1, 2014, 4:04 am NST - And that's all for AC IX, folks! Not only do we have 2 brackets full of sweeps, but 8 out of 9 matches were all sweeps! A fitting end for this cup! In this bracket, Kiko Lake smashed the Lost Desert and obiltered them with a pair of 10s in Make Some Noise and Shootout Showdown. As expected, the powerhouses finished their records on a high note. Moltara swept Darigan Citadel and the Haunted Woods swept Meridell. Here, Virtupets dominated Krawk Island and should be taking second place in the standings. Tyrannia had a great run with a final sweep over Maraqua. Finally, Mystery Island didn't quiet make a sweep, but didn't take a loss since they drew in Slushie Slinger, and won the rest of the games against Shenkuu. This bracket is also full of sweeps, but there are no podium teams here. Roo Island kept their head above Faerieland, and Brightvale posted strong figures against Altador. Last but not least, Kreludor defeated Terror Mountain. Stay tuned for this year's Parting Thoughts! June 30, 2014, 9:31 am NST - And so we're here at last, the final day of play (possibly forever!). But enough about that, what of yesterday's results? Unsurprisingly, this late in the game there were mostly sweeps to report. The Alabriss bracket, in fact, was full of them. The Haunted Woods took the Darigan Citadel, Moltara took Kiko Lake, and Meridell took the Lost Desert. No surprises there. Two more sweeps await in the middle bracket. Virtupets triumphed over Mystery Island while Tyrannia beat Krawk Island. The Shenkuu-Maraqua game was slightly different, with Shenkuu taking all three side games and Maraqua taking Yooyuball. Interesting to note that Maraqua's scores have once again returned to normal levels. Again, in the third bracket, there were two more sweeps. Brightvale took Faerieland while Roo Island took Terror Mountain. The final game of the day was between Altador and Kreludor. Kreludor took wins in Yooyuball, Make Some Noise, and Shootout Showdown, while Altador managed a single win in Slushie Slinger. Note: After you've finished playing for the day, get thinking about Altador Cup feedback! In a couple of days, we'll be bringing back last year's Parting Thoughts, and asking for your contributions again. June 29, 2014, 2:59 pm NST - The Cup is almost over, but some teams are determined to keep on fighting! In Darigan vs. Meridell, Meridell stopped their rival from winning Yooyuball, but Darigan dominated in the other side games. Kiko Lake has little stength left in them and could not stop the soon to be winners Haunted Woods from sweeping them. Finally, Moltara swept the Lost Desert. In this bracket there were 2 sweeps today. Of course, Virtupets swept Shenkuu and Tyrannia swept Mystery Island. Krawk Island and Maraqua fought a bitter battle and both survived with 2 wins each. Krawk Island scored Yooyuball and Shootout Showdown and Maraqua won the other side games. First of all, Terror Mountain was impressive yesterday. It's nice to see some team refuse to give up as we approach the eve of the tournament's conclusion. The next matches were very similar to each other. Roo Island rose to the challenge and defeated Kreludor and only drew in Yooyuball. Altador also drew in Yooyuball, but against Faerieland, and won the rest of the side games. June 28, 2014, 9:15 am NST - Only a few more days until the end of the Cup now! It was almost a trio of sweeps in this bracket, with Haunted Woods taking the Lost Desert and Darigan Citadel taking Kiko Lake. Meridell prevented a full sweep, drawing Yooyuball with Moltara, who took the other three games. 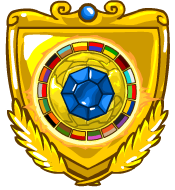 Although Yooyuball has always been this year's Moltara weakness, this is still a solid achievement. Virtupets of course swept Tyrannia yesterday, but the real 'story' was Maraqua sweeping Mystery Island. Though, as with Terror Mountain last year, these sorts of things come too late to make any difference. Krawk Island meanwhile were facing difficulty against Shenkuu. Draws in Yooyuball and Slushie Slinger were followed by a win for Shenkuu in Make Some Noise and a win for Krawk Island in Shootout Showdown. The most mixed bracket of the lot today looks like the results pages of old! Roo Island managed the most convincing win against Altador, with wins in Yooyuball, Make Some Noise, and Shootout Showdown. Altador meanwhile took the Slushie Slinger win. Terror Mountain took Make Some Noise and Shootout Showdown while Faerieland took Yooyuball - the Slushie Slinger match here ended in a draw. Finally, in the Kreludor-Brightvale match, two draws were awarded in Yooyuball and Slushie Slinger. Kreludor took Make Some Noise, while Brightvale took Shootout Showdown. June 27, 2014, 2:09 pm NST - UPDATE: Our TNT Staff Tournament guide has been updated with the final player scores and prizes! You can now claim your prizes from TNT's Altador Cup Staff Tournament! We have now updated our guide with the final results! Why not help us model the below wearable prizes?! June 27, 2014, 9:25 am NST - The results for the first round of the final bracket are in! In this bracket, Darigan Citadel posted strong numbers against the Lost Desert and beat them for a sweep. Yesterday's match between Haunted Woods and Moltara may incidicate how vicious the battle for this bracket will be, especially for Moltara. The Haunted Woods ended up taking both Yooyuball and Slushie Slinger, while Moltara won Make Some Noise and Shootout Showdown. Meridell scored a draw in Shootout Showdown against the Kikos, and won everything else. All sweeps in this bracket! Krawk Island crushed a now weaker Mystery Island, but not at numbers high enough for greater prospects against their other bracket opponents Virtupets and Tyrannia. Speaking of Virtupets and Tyrannia, Virtupets swept Maraqua and Tyrannia swept Shenkuu. Finally, this bracket has generally low scores all around, with some bright spots from Brightvale. Kreuldor managed to sweep Faerieland and Terror Mountain swept Altador, but fatgue has definitely set in and it shows. Roo Island scored two wins against Brightvale in Slushie Slinger and Make Some Noise, but lost in the other games. June 25, 2014, 6:34 am NST - We now have the results for the final matches in this bracket! For the top teams, it is very likely that these current standings will be the final ones. After a superb time in this bracket, Mystery Island ended on a low note with a loss of Slushie Slinger to Faerieland, and very low scores all around. Thier flat performance is odd considering the 9's and 10's they posted the day before, but perhaps the fatigue has started setting in. Meridell held on to winning the bracket with beating Krawk Island Yooyuball and Make Some Noise, despite losing the other side games. Finally, Terror Mountain scores a Make Some Noise win over the Lost Desert. In yesterday's match, Moltara finally faced off against the top team, Haunted Woods, but lost all games except Slushie Slinger. Virtupets proved they rule outer space by sweeping Kreludor, and Tyrannia swept Altador. However, Tyrannia's wins were not enough to surpass their rivals in the bracket standings. performance in the entire Cup this year! Roo Island won three games against Shenkuu and only lost Shootout Showdown, and Darigan Citadel also won three games, losing Shootout Showdown to Brightvale. A sweep kicked off the day's results for Mystery Island over Meridell. The remaining two matches in the bracket were rather mixed though. Against Terror Mountain, Krawk Island managed wins in Slushie Slinger and Shootout Showdown, while drawing the remaining two games. The Lost Desert also faced difficulty against Faerieland, taking the Yooyuball and Shootout Showdown wins while drawing Slushie Slinger. Faerieland forced a draw in Make Some Noise. No great surprises in this bracket, with the Haunted Woods sweeping Kreludor and Moltara sweeping Altador. However, Tyrannia managed a minor upset by getting a Yooyuball win against Virtupets, who took the remaining wins in the side games. An impressive achievement, and certainly one that might have meant something if the rules of the Altador Cup were different - but for now, it is too little too late, and Virtupets retains their podium unscathed. One more sweep came in the final bracket, this time the Darigan Citadel over Maraqua. Kiko Lake took Yooyuball and Shootout Showdown wins against Roo Island, with the Islanders taking the other two games. The situation repeated itself in the final match, with Brightvale taking Yooyuball and Shootout Showdown, while Shenkuu took the other two games. June 23, 2014, 1:27 am NST - Aside from a few Yooyuball draws, there was a sweep in every match today, but these results are not as exciting as yesterday's. In this bracket, the Lost Desert drew against Krawk Island in Yooyuball, and Krawk Island won the side games. Meridell is holding on to their first place in the bracket with another sweep, crushing Faerieland. Finally, Mystery Island swept Terror Mountain, and scored a very impressive 12 in Make Some Noise. Moltara redeemed themselves from yesterday by sweeping Kreludor, while Virtupets had no trouble stomping Altador for a sweep. Most notably, the Haunted Woods drew with Tyrannia in Yooyuball, just as they did with Virupets yesterday. This is a pretty great achievement for any team, and it solidies that had Tyrannia had better luck, they could have been a serious podium contender this year. The battle for the bracket continues with both Darigan Citadel and Kiko Lake sweeping their opponents, Shenkuu and Brightvale respectively. It is within both team's interest to win 1st in the bracket if they want a chance, moreso for Kiko Lake, to overtake Moltara for bronze. Finally, Roo Island defeat Maraqua with winning the side games and drawing in Yoouyuball. This bracket consists of all sweeps, and predictable ones. Krawk Island swept Faerieland, Mystery Island swept Lost Desert, and Meridell swept Terror Mountain. This bracket is where it all went down. Tyrannia, despite being outside of the podium positions, still managed to deal a lot of damage to Moltara for an overall win. They won both Yooyuball and Shootout Showdown, drew in Slushie Slinger, and only lost in Make Some Noise. They need to play almost perfectly from now on if they want the edge over their rivals Darigan Citadel and Kiko Lake for the final standings. Last but not least, the moon overtook the sun when Kreludor swept Altador. In a shocking move, Shenkuu defeated Kiko Lake in yesterday's games. Kiko Lake only won Yooyuball. Kiko Lake is going to need to deliver strong numbers consistently if they want to go for bronze, or they may fall under Tyrannia and Darigan Citadell by this Cup's conclusion. Darigan Citadel lost to Roo Island in Slushie Slinger, but still delivered good numbers to win the other three games. In Maraqua vs. Brightvale, Brightvale won Yooyuball, but narrowly lost to Maraqua in the side games. A sweep for Mystery Island kicked off this bracket, against the flagging Krawk Island team. Elsewhere, Faerieland and Terror Mountain drew Yooyuball and Slushie Slinger, with Terror Mountain taking the wins in Shootout Showdown and Make Some Noise. The Lost Desert took the Yooyuball win from Meridell, with the Meridell team taking the remaining three games. With the top teams in this bracket, the podium is all but decided unless they are all placed together again in the final bracket (in which case, Kiko Lake could steal third place). For now though, this year's champions, the Haunted Woods, managed a sweep over Altador. Tyrannia managed another sweep over Kreludor. The Virtupets-Moltara match was more mixed. Virtupets took Yooyuball and Shootout Showdown, with Moltara taking Make Some Noise. Both teams drew Slushie Slinger. As the point gap narrows, it is more and more likely that Moltara will at some point overtake Virtupets unless they increase their scores. Roo Island managed a trio of wins in Yooyuball, Slushie Slinger, and Make Some Noise yesterday, with their Brightvale opponents taking Shootout Showdown. Elsewhere, Maraqua took a win in Yooyuball against Shenkuu, with Shenkuu taking all three side games. Finally, the Darigan Citadel-Kiko Lake game tipped in favour of the Citadel, taking the Slushie Slinger and Make Some Noise wins. Kiko Lake took Shootout Showdown, and Yooyuball ended in a draw. June 19, 2014, 12:51 am NST - And the latest bracket comes to an end! Two sweeps rounded off this bracket, the first coming from the Haunted Woods against Roo Island. The second came from Tyrannia, this time against Meridell. The final match of this bracket was between Faerieland and Maraqua. A mixed bag of results there, with each team taking home two wins. Yooyuball and Shootout Showdown went to Maraqua, while Faerieland took Make Some Noise and Slushie Slinger. Surprising results in this bracket, with Brightvale managing to prevent Virtupets from obtaining a full sweep. They took the win in Slushie Slinger, though of course this meant their scores in the other games suffered, and Virtupets took all three other games. You may remember Brightvale doing this against the podium teams last year. Elsewhere, Altador gained another Slushie Slinger win against Krawk Island, with the Islanders taking the remaining three games. Kiko Lake meanwhile took Yooyuball and Shootout Showdown against the Lost Desert, with LD taking Slushie Slinger and Make Some Noise. Moltara managed another sweep in this bracket, against Mystery Island, who have returned to normal form. Kreludor meanwhile managed wins in Yooyuball, Slushie Slinger and Shootout Showdown against the Darigan Citadel, while the Citadel took the Make Some Noise win. Finally, Terror Mountain took Yooyuball and Slushie Slinger against Shenkuu, while Shenkuu took Make Some Noise and Shootout Showdown. Note: For some reason, there is a bonus on Slushie Slinger today. It is unknown why, as this is a bye day and scores sent should not be adding to team totals, meaning the bonus would not matter. June 18, 2014, 3:30 am NST - Today, we have one full bracket of sweeps, and plenty of others. Only two teams failed to sweep their opponents, and only lost in a single game. Overall, most of these match results were quite predictable. In this bracket, the Haunted woods once again swept Faerieland for the second day in a row. With untouchable numbers in the side games teams (namely Tyrannia) should be focusing most efforts into denting this team's Yooyuball record. Tyrannia lost out of of a sweep today due to a narrow Slushie Slinger loss in Slushie Slinger. Lastly, Meridell finished off Maraqua in a pretty nice sweep. Virtupets proves they're still a powerhouse by destroying Krawk Island. The pirates are just getting crushed in this second half of the tournament. It's also no surprise Kiko Lake had no trouble sweeping Altador yesterday. Finally, the Lost Desert secured a win over Brightvale in Slushie Slinger, but the rest of their efforts proved weak against Brightvale. Mystery Island avoided a repeat of yesterday's imperfect results against Darigan Citadel and returned with a sweep. Even with better than usual scores for Darigan, they were still plummeled by the islanders. That's a pretty impressive feat this late in the game. If they face Moltara, things could get interesting. Speaking of Moltara, they swept Terror Mountain yesterday. Finally, Kreludor swept Shenkuu. A draw between Maraqua and Roo Island in Yooyuball kicked off this bracket, though Roo Island were able to take all three side games for themselves. Tyrannia meanwhile took wins in Yooyuball, Slushie Slinger, and Make Some Noise over Meridell, while Meridell took the Shootout Showdown win. Haunted Woods as ever managed a sweep, this time against Faerieland. Virtupets similarly managed a sweep against the Lost Desert. Elsewhere, Altador scored another Slushie Slinger win against Krawk Island, but it wasn't enough, with Krawk Island taking all three remaining wins. Brightvale managed an impressive showing against Kiko Lake, meanwhile, taking wins in Yooyuball, Slushie Slinger, and Make Some Noise. Kiko Lake managed to force a draw in Shootout Showdown, however. The final sweep came from Moltara, this time against Kreludor. Terror Mountain took wins against Shenkuu in Yooyuball, Make Some Noise, and Shootout Showdown, while Shenkuu took the Slushie Slinger win. The most mixed match of the day was between Mystery Island and Darigan Citadel. Mystery Island took the Yooyuball and Slushie Slinger matches, with Darigan Citadel taking Shootout Showdown. The Make Some Noise match ended in a draw. As usual, Haunted Woods swept again. Today, the unlucky team was Maraqua. Tyrannia posted weaker numbers than usual, but it was more than enough to stomp Faerieland across the board. In Meridell vs. Roo Island, both teams did well for themselves. Roo Island scored some nice wins in Slushie Slinger and Make Some Noise and Meridell edged wins in Yooyuball and Slushie Slinger. First of all, Kiko Lake scored a powerful sweep over Krawk Island. As the pirates have been faltering these last few days, Kiko Lake remains solid. Once again Altador is adding wins to their record. Let's hope they can keep up the momentum to cushion their fall to last place. Last but not least, it wouldn�t be Altador Cup IX without another Virtupets sweep, this time over the Lost Desert. Kreludor returns to winning with good numbers in their battle against Mystery Island, only drawing with Mystery Island in Slushie Slinger. Darigan Citadel remains one of the most consistent teams this year with winning with more 5's, however they slipped on the ice of Terror Mountain in Slushie Slinger. Finally, Moltara swept Shenkuu. June 15, 2014, 1:45 am NST - The third round has kicked off, and at last we have some unexpected results! Hooray! A trio of sweeps came in this bracket. Tyrannia bested the flagging Maraqua team, while Roo Island took down Faerieland. The third sweep of the day was of course the Haunted Woods over Meridell - but what's important there is the scores. HW's scores have come back in line with a normal ASG powered team, 'only' managing a 10 in Make Some Noise. Minor blip, or a sign of things to come? Only time will tell. At this stage of the Cup, it would be too late to make a difference to the podium, but it might give Moltara a chance at gold if it keeps up. In this bracket we finally saw some genuine upsets, albeit minor ones. Altador managed their first win of the season against the Lost Desert in Slushie Slinger. It wasn't enough though, as the Lost Desert still took the three remaining games. Kiko Lake also managed to force a draw against Virtupets in Shootout Showdown, a solid achievement this year. Virtupets meanwhile took the other three games. In the Brightvale-Krawk Island matched, there were mixed results, with Brightvale taking Yooyuball and Make Some Noise, and Krawk Island taking Slushie Slinger and Shootout Showdown. Back to more predictable results in this bracket, with Moltara sweeping the Darigan Citadel, and Kreludor sweeping Terror Mountain. It was a near sweep in the remaining match between Mystery Island and Shenkuu, with Mystery Island taking Yooyuball, Slushie Slinger, and Make Some Noise. Shenkuu fought back though, securing the Shootout Showdown win. June 13, 2014, 9:21 am NST - And so bracket 2 comes to an end. What fun was had by all. As has been the case pretty much throughout this bracket, sweeps were once again the order of the day. The Haunted Woods took Shenkuu, while the Darigan Citadel took Krawk Island. The Tyrannia-Lost Desert match was a near sweep, with Tyrannia taking all side games. The Lost Desert fought back though, and managed a win in Yooyuball. Even more sweeps came in this bracket, all three matches, in fact. Once again, Moltara won, this time against Brightvale. Kreludor took the win against Meridell, and finally Kiko Lake proved their worth against Faerieland. Two more sweeps came in this bracket. Virtupets took Roo Island while Mystery Island took the struggling Altador team. The most mixed match of the day was between Maraqua and Terror Mountain. They drew Yooyuball, with Maraqua taking Shootout Showdown and Terror Mountain taking Slushie Slinger and Make Some Noise. Today is a bye day ahead of the third round - and remember that your scores still count today for ranking up! 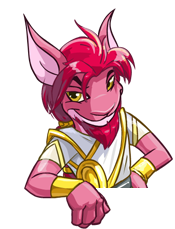 Also, the TNT Staff Tournament will update later today with the Neopets news. June 12, 2014, 12:29 am NST - Here we are at yet another day of results, but much like yesterday little is surprising. In today's most interesting result, Krawk Island proved to be no match for team Tyrannia and crumbled in every game. In future brackets, Tyrannia will be a team to fear, especially for a strong podium contender like Moltara. It will be something if they can cause a shake up with the largely unmoving bracket standings as we begin approaching the halfway point in the tournament. Lost Desert scored another win in Yooyuball two days in a row, but lost Shenkuu in Slushie Slinger and Make Some Noise and drew in Shootout Showdown. Unsurprisingly, Haunted Woods swept a team yet again. Yesterday's unfortunate victim was Darigan Citadel. Of course, Moltara swept Faerieland yesterday by wide margins. Brightvale is making the most of this year with a nice win over Kreludor in Yooyuball, but Kreludor fought back to win the side games. In Meridell vs. Kiko Lake, the knights fell against the Kikos, only winning in Make Some Noise and drawing in Shootout Showdown. As expected, Maraqua swept Altador and Virtupets swept Mystery Island. Meanwhile, Roo Island and Terror Mountain battled it out for two games each. Roo Island emerged victorious with Yooyuball and Slushie Slinger, while Terror Mountain took the rest. June 11, 2014, 9:04 am NST - Another day of results awaits, though nothing dreadfully unexpected today. A sweep of course for the Haunted Woods against Tyrannia starts this bracket, as the HW team continues to grow their lead. Another sweep came for the Darigan Citadel, who took Shenkuu despite the DC team's deflated scores this year. The third match in this bracket was a near sweep, with Krawk Island taking all side games. The Lost Desert held strong in Yooyuball though, taking the win there. It was much the same picture in this bracket, with again two sweeps. Moltara, of course, was one of them. This time Brightvale were their victims. Meridell took the second sweep, this time against Faerieland. The third match of the day mirrored that of the first bracket - a win in all three side games for Kreludor, while Kiko Lake took the Yooyuball win. And to complete the set, this bracket also featured two sweeps. Virtupets was the first, demolishing the Altador scores up to ten times in Make Some Noise. Mystery Island meanwhile had the second sweep, over Terror Mountain in a closely scored match. The final match of the day was between Roo Island and Maraqua. Roo Island took Yooyuball, Slushie Slinger and Make Some Noise, while the two teams drew in Shootout Showdown. June 10, 2014, 1:11 am NST - Another day of AC play, another day of results! Let's get right to it, shall we? In the battle of pirates vs. ninjas, Krawk Island emerged victorious but not unscathed, with Shenkuu scoring a win in Make Some Noise. Haunted Woods swept the Lost Desert like sands in the wind. Darigan Citadel's first 7 thus far earned them a draw with Tyrannia in Make Some Noise, but they still fell to Tyrannia in the other three games. Tyrannia continues to surprise this year and has currently surpassed both Darigan Citadel and Krawk Island in the bracket standings. This bracket had most of today's most interesting results. Kiko Lake continues to grow stronger in Yooyuball, and delivered a 7 against Moltara for the win. The loss is not surprising considering Yooyuball is their weakest area, but it shows that Kiko Lake, a team still resisting being swept, is not willing to go down without a good fight. Kreuldor drew with Faerieland in Slushie Slinger and won everything else. With numbers like those, Kreludor's power is diminishing when compared to the strong numbers they posted at the start of the cup. In the anticipated Meridell vs. Brightvale, Bightvale focused on their consistent strength in Yooyuball but ultimately settled for a draw, then lost the rest to Meridell. In Mystery Island vs. Maraqua, both teams won 2 games each. Mysyery Island took Yooyuball and Make Some Noise, leaving Maraqua to take Slushie Slinger and Shootout Showdown. Roo Island had a nice sweep over Altador. Finally, Virtupets decimated Terror Mountain in yet another sweep. It is apparent at this point to see that this will surely be an easy bracket for them. June 9, 2014, 8:06 am NST - The first day's results from bracket 2 are now in! A trio of sweeps filled the results from this bracket. After a minor blip of high scores in the last bracket, Tyrannia has returned to mid-range scores, but still managed to sweep Shenkuu. The Darigan Citadel meanwhile took the Lost Desert, and of course the Haunted Woods swept Krawk Island. Two more sweeps came in this bracket - Moltara beat Meridell, again no surprises there, while Brightvale swept Faerieland. Kiko Lake almost completed the set, taking three games, but Kreludor held on to the Shootout Showdown win, preventing a full sweep. Two more sweeps came in the final bracket, with Virtupets taking Maraqua, and Terror Mountain taking Altador. The most mixed match of the day came between Mystery Island and Roo Island. They drew Yooyuball, with Mystery Island taking Shootout Showdown, and Roo Island taking the remaining two games. Today's results, by the way, confirm that the system of stacked bracket scores has returned - in other words, team scores are not cleared between brackets, making it difficult for teams to change position mid bracket. June 7, 2014, 1:37 am NST - And the results of the first round are in! Today is a bye day, meaning you are not playing against any live team - however, your personal scores still count, so you can rank up and gain prize points against the practice team. Moltara rounded off their best performance in history with a near sweep against Krawk Island yesterday - drawing only Yooyuball. They have easily taken first place in the bracket. Kreludor meanwhile managed a sweep against Maraqua. More mixed results came between Roo Island and the Lost Desert though, with the Lost Desert taking Yooyuball and Shootout Showdown, Roo Island taking Slushie Slinger, and both teams drawing in Make Some Noise. Darigan Citadel returned to their bizarre streak of 5s yesterday, with a sweep against Altador. The second sweep of the bracket of course went to Virtupets against Faerieland. The Meridell-Shenkuu match however mirrored the Roo Island-Lost Desert one. This time, Meridell took Yooyuball and Shootout Showdown, with Shenkuu taking Slushie Slinger and both teams drawing Make Some Noise. The Haunted Woods have now increased their scores to a level that means beating them is unlikely (the Cup works on cumulative scores, meaning that any team hoping to overtake HW will have to score higher than their entire season's record). Yesterday they swept Terror Mountain, no surprises there. A draw in Yooyuball was all that prevented Brightvale from taking a full sweep against Mystery Island. The real story of the day however is Tyrannia. Kiko Lake took Yooyuball while Tyrannia took the side games, but it is Tyrannia's scores that are important. They were high, almost at the level of Virtupets - if Tyrannia keep this up and improve ever so slightly, they may be able to chip away at VP's chances of a podium finish if the brackets are kind. June 6, 2014, 2:15 pm NST - Voting has now started for the first round of the Altador Cup Staff Tournament. June 6, 2014, 12:48 am NST - With yet another day of sweeps and near sweeps, today's results show improvements for some key players in this year's Cup. Once again Krawk Island faced off against Roo Island, but Roo Island resisted a complete repeat of yesterday's total loss and drew with the pirates in Slushie Slinger. Lost Desert rose to the challenge and held off Kreludor for a draw in Yooyuball. Kreludor could very possibly stand in the way of Moltara in this bracket, but they'll need to return to posting 7's. Moltara finished off today's matches with a strong sweep over Maraqua. While they are one of 3 teams who can score over 10 in Make Some Noise, it remains to be seen if they can post numbers worthy of powerhouses Virtupets and Haunted Woods. This bracket consisted of all sweeps today. In the first sweep, Darigan Citadel finally posted a score that was not 5: a 6 in Make Some Noise against Faerieland. Shenkuu crushed Altador's low numbers, but at 3's and 4's the team needs to start performing harder to make any impact on future opponents. Most notably, Virtupets is still going strong, annihilating Meridell's good record. Haunted Woods posted their most frightening sweep yet, and finally scored a high 8 in Yooyuball. If there's any team that can stop Virtupets' quest for gold, it's undeniably Haunted Woods. Tyrannia continues to prove they're not down and out with a good sweep over Terror Mountain, and a draw between Mystery Island and Kiko Lake in Yooyuball stopped the Kikos short of making a sweep. June 5, 2014, 1:24 am NST - Another day of results, and the end of the first round draws closer! Moltara continue to be the dominant force in this bracket - the nature of the current Cup system means it is overwhelmingly likely they will have a podium spot this year. They faced Kreludor, who managed a win in Shootout Showdown and a draw in Yooyuball, while Moltara took Make Some Noise and Slushie Slinger. Two draws were also on the cards in the Maraqua-Lost Desert game, this time in Yooyuball and Slushie Slinger. The remaining two games however went to Maraqua. The final match of the bracket was a full sweep by Krawk Island over Roo Island. 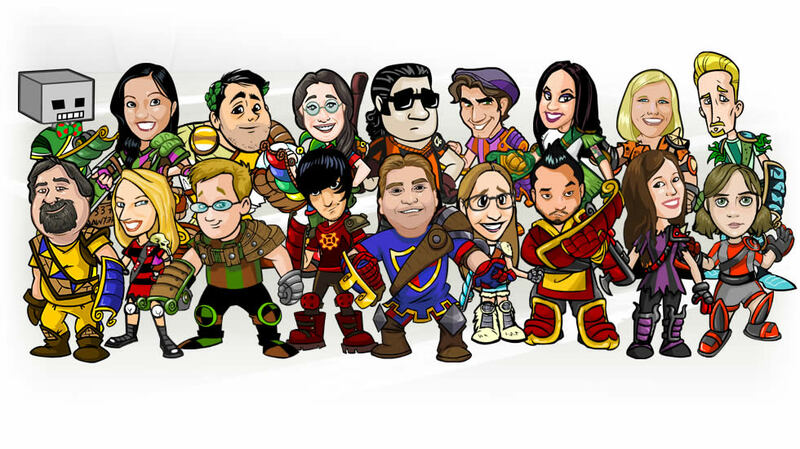 If there is any doubt that Virtupets will be this year's champions, it is quickly fading. Another sweep against the Darigan Citadel came yesterday, and the point margins by which Virtupets is winning mean that, even if other teams were to improve, Virtupets would still have the lead. Interestingly though, Darigan Citadel have now posted all 5s for three days in a row. There were two other sweeps in this bracket, Meridell over Faerieland, and Shenkuu over Altador. This year's likely 2nd position team appear to be the Haunted Woods, yesterday securing another sweep over Brightvale. The remaining matches of the bracket gave mixed results. Mystery Island managed to take three of their games, with Terror Mountain managing to claw back Slushie Slinger. Tyrannia also managed to win three games, with Kiko Lake taking the Make Some Noise win. June 4, 2014, 1:36 am NST - The second day's results are here, and already it seems like some powerhouse teams might be emerging. Moltara achieved the only sweep in this bracket against Roo Island, and an impressive one it was. While their strength is not YYB, they seem to be finding their stride with side games. Krawk Island tried to hold off their rival Kreludor, but ultimately ended up drawing in YYB and Shootout Showdown with Kreludor winning the other 2 side games. Maraqua was plagued by a draw yet again with one in Make Some Noise against Lost Desert, but won Shootout Showdown. The Lost Desert beat Maraqua in both YYB and Slushie Slinger, however. This bracket was made up of entirely sweeps. Virtupets posted strong scores across the board today, much like yesterday, with the most notable being the side games: a 13 in Make Some Noise and an 11 in Shootout Showdown. Virtupets is shaping up as this year's major powerhouse team. Shenkuu edged a sweep over Faerieland, rebounding after being swept the previous day. Lastly, Meridell is doing pretty well thus far, and scored a sweep over one of last year's podium teams, Altador. In this bracket, Haunted Woods posted a terrifying 14 in Make Some Noise against Mystery Island. With strong scores in all 4 games, they easily swept their opponents. Tyrannia nearly swept Brightvale today by a fair margin, but Brightvale held on to a win in Shoutout Showdown. Tyrannia may escape the Winner's Curse if they continue to post 6 and 7's. The last sweep in this bracket was carried out by Kiko Lake over Terror Mountain. Reminder: Slushie Slinger has a bonus on it today, making it worth more points for your team. The only sweep of this bracket came from Kreludor, who appear to be back on form, although the same can't be said of their victims, Roo Island. Krawk Island appear heavily hit by the changes to the Cup this year, drawing three of their matches against Maraqua while taking a win in Make Some Noise, but those scores are relatively low compared with last year. On the other end of the scale, Moltara and the Lost Desert clashed. While the Lost Desert took Slushie Slinger and Shootout Showdown, Moltara took the other two games - and in Make Some Noise, managed a massive 11, the second highest score of the day across all teams. In this bracket, two sweeps dominated the news. Faerieland swept Altador, illustrating the home team's return to form after last year, while Virtupets swept Shenkuu. The real story there is by how much, Virtupets posted a score of 16 in Make Some Noise, the highest posted by any team for the day. It seems like Virtupets will be a real contender for the podium this year. In the final match of the day, Meridell and Darigan Citadel met. Meridell took Slushie Slinger and Shootout Showdown, while the Darigan Citadel took Make Some Noise. A draw in Yooyuball rounded off the results. This bracket was full of mixed results. Brightvale managed the most convincing win against Terror Mountain, taking all three side games while drawing Yooyuball. Tyrannia meanwhile faced Mystery Island, and won both Yooyuball and Make Some Noise. Mystery Island took Shootout Showdown, and forced a draw in Slushie Slinger. In the final match of the day, the Haunted Woods faced Kiko Lake. The day ultimately went to the Woods with wins in Slushie Slinger and Make Some Noise, but Kiko Lake fought back with their own win in Yooyuball and forced a draw in Shootout Showdown. So, only 24 days remain. Remember though, first day results are rarely indicative of final standings, in the modern Cup especially so. June 2, 2014, 8:43 am NST - The ninth Altador Cup has kicked off! As we reported, the score caps for all 4 games have been updated this year. What is Hidden Altador and how does it work? Beyond Altador lies a fascinating city. 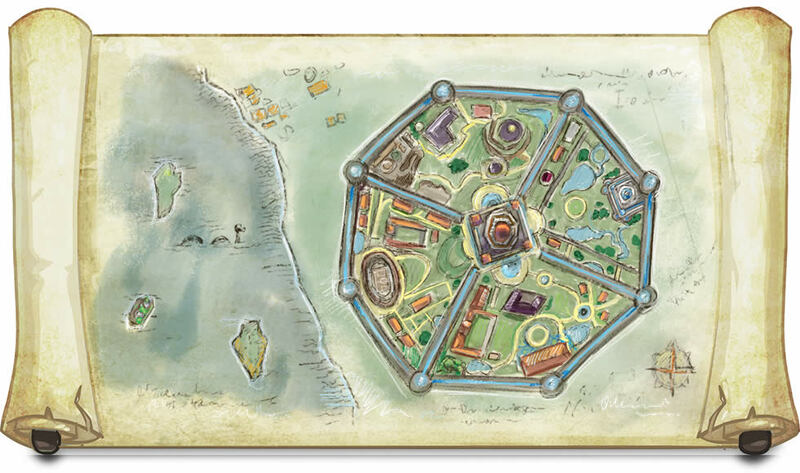 Take a look at the map and discover Altador's hidden side and collect souvenirs every day. Explore four secret locations using Enchanted Compasses from the NC Mall. A new compass is available every Sunday throughout the Altador Cup starting on June 1st. Once you have your compass, be sure to activate it then visit a secret location to find a new NC item that awaits you. What is the duration of Hidden Altador? The first Enchanted Compass allowing access to the Hall of Fountains will go on sale June 1st. A new access pass will go be available each Sunday. You can purchase and activate your passes until June 29th. You may claim your prizes on already purchased and activated passes anytime you visit an access area. How do I purchase an Enchanted Compass? Each week a new compass will be on sale in the NC Mall Altador Cup Shop. You can purchase a compass there or on the Hidden Altador page. How do I activate my Enchanted Compass? 1. Visit your inventory. Once in your inventory, click on your Enchanted Compass and select, "Activate Enchanted Compass". 2. If you purchased your Enchanted Compass from the Hidden Altador page you can activate it right after purchase. Once you see the confirmation page simply click the "Use Compass" button and confirm the use of your compass. Can I activate multiple Enchanted Compasses for same location? No. You will only be able to activate and collect prizes once for each location once per account. Is there a bonus item for participating in Hidden Altador? No, there isn't a bonus item prize for participating in this event. Why isn't the compass I want available in the NC Mall? Check back at the NC Mall each Sunday for a new Enchanted Compass. Already released compasses will remain for sale until the end of the event. When can I start collecting my Hidden Altador prizes? Prizes for each location can be collected each Sunday. You will be able to claim one prize per day. If you missed collecting any days you can always return to the access area and claim those prizes. Is there a time limit for accepting my daily Hidden Altador prizes? There really isn't a time limit for collecting your daily prizes but the sooner the better so you can enjoy them! If you activated an Enchanted Compass, you will be able to return to the page to claim your prize as long as the Hidden Altador page is still accessible. Can I access Hidden Altador on my side accounts? May 28, 2014, 3:51 am NST - And so we reach our final team in this series of recaps - Shenkuu. Looking at SK's Altador Cup history is depressing reading. They started out with so much promise, but after losing the championship match in the AC4 they started a downwards spiral that at some points was very dramatic. This reached the all time low of 16th in the AC7, and things looked very dire indeed. But last year, there was a ray of hope. Shenkuu finished 12th, tying with the Lost Desert we talked about yesterday. Finally, for the first time in 4 years, Shenkuu managed to gain places rather than lose them. But will this be a trend that continues? Well, as with the Lost Desert, it will be difficult for Shenkuu to rise any higher for the time being. There is a large drop off of power in the bottom tiers, and although Shenkuu is at the top of that drop off, it is a long way to the next group of teams. Shenkuu will struggle, but at least they have begun the journey. They are an outside bet for ASG help, but not altogether unlikely. Team size might mitigate their power to a high tier team, just missing out on the podium, however. Either way, the future may not hold gold for Shenkuu immediately - but it is still brighter than it has been in a long time. May 27, 2014, 11:49 am NST - So what of the Lost Desert? A finish of 12th is hardly something to shout about from last year. What could this year hold? Given that in the first year of the brackets LD finished 5th, it was a dramatic fall. Whilst the bracket draw might be partly to blame, it isn't all the story - the desert had a fairly mediocre draw, avoiding the 'hard' brackets on several occasions. So why the fall? Well, freeloaders might be part of the problem. A lot of people last year were featuring the Lost Desert in their pre-AC chatter. Of course, none of us predicted the utter chaos that the ASGs caused, but a fair few people may have joined LD ahead of time based on predictions. What of this year, then? Well, the Lost Desert will need the luck of the draw. An ASG wouldn't hurt, but like Meridell, LD does seem like a reasonably large team. Without an ASG, the Lost Desert can at least take heart that a drop in the standings would also be unlikely. They are far and a way the highest scorers of the lower tiers, meaning another 12th position finish is likely the worst they can expect. May 26, 2014, 11:44 am NST - Kreludor have been a historically strong team in the AC. Will this year be any different? KD had long suffered under the round robin system due to finals, where they tended to fall apart. Brackets removed that, and Kreludor capitalised on it, taking gold, albeit with SOTAC assistance, in the first year the brackets were introduced. Last year, of course, they suffered the winner's curse - there's simply no avoiding it. Interesting, they fell to 7th, the same position the Haunted Woods, Darigan Citadel, and Krawk Island got the year after they won. Of the winning teams, Krawk Island is the only one to bounce back after only one year. Can Kreludor do the same? Well, I'd say yes under normal circumstances. The Kreludor team are loyal and play hard. But with brackets and the current glut of ASG influenced positions, it is hard to see a place on the podium for the Kreludor team. Their main competition will of course be Krawk Island in that regard. But Kreludor have an advantage there - they have already proven that the brackets are their format. A top two tiers finish is not only possible, it is something that should be expected. May 25, 2014, 6:30 am NST - Yesterday we discussed Mystery Island, who had a podium spot during the AC7 thanks to an ASG. Let's follow that up by talking about the other podium team that fell short of winning that year - Meridell. The cheating ASGs first emerged in public during the AC7 as a group that joined Meridell. It was that group that took Tyrannia to victory last year. But the thing with Meridell is that, despite having the same power applied, they didn't get the same result. Why? Well, the obvious answer is that Meridell is a much larger team than Tyrannia, meaning the efforts of the ASG were mitigated slightly. It's also worth considering that cheating ASGs were a new thing, so they might not have been trying as hard, and that Meridell was up against both Stealth on Mystery Island and SOTAC on Kreludor. Either way, lots of people quietly wrote off Meridell to a fall last year. And then the standings came out. Meridell got 6th position - nothing to sniff at by any stretch of the imagination, and certainly not a dramatic fall. Again though, the brackets paint a deceiving picture. They had a relatively easy showing in their bracket picks. Their raw scores were not as impressive, that's for sure. This year? I'd expect a small fall in the standings for Meridell. It seems unlikely they'll attract ASG attention due to the previous failings of that strategy, so if Meridell do rise, it is likely to be under their own power. May 24, 2014, 6:23 am NST - Mystery Island has been having a bad time of it lately, but can they improve in this coming season? They finished in 15th last year. Hardly surprising in that they finished 14th during AC5 and AC6. But then, in AC7, they shot all the way up to 2nd with the help of the main bulk of the Stealth ASG. That's the interesting part about MI's downfall last year. They finished up in roughly the same position they had been in before the ASG joined, as if the ASG itself didn't have much impact on the base team's play. This doesn't normally happen - teams that take on ASGs tend to fall lower than they started off when the ASG leaves. That, at least, is something to be proud of. The Mystery Islanders are loyaler than most. Obviously, the upcoming changes to max scores and potential other changes to the Cup may alter things. It's hard to say at this point without knowing firstly what the new caps are, and secondly how much of an effect they will have on powerhouses (as that would level the playing field slightly for teams like MI). At this stage, there is simply too much unknown. Given the tried and tested jump MI can get with an ASG, it makes them an obvious choice for another go, perhaps from Stealth since they have a prior association. Without an ASG, the situation is looking dire for Mystery Island. There isn't much between the teams at the lower end of the standings, so with a bad bracket draw MI could easily find themselves falling a couple of places. May 23, 2014, 2:17 am NST - Tied with the Haunted Woods in 9th last year was Maraqua. Same position, but slightly different stories. Where HW was on the rise, MQ by contrast has fallen since the brackets were introduced. They peaked in 4th during the AC6, after a steady rise. And it is no surprise that MQ were a team that suffered under the new system. Maraqua have always played a very tactical game, which suited the round robin system perfectly. But the brackets add a sense of randomisation and chance into the contest which scuppers the team's chances almost entirely. There's a certain sense of irony in the fact that a system set up to allow new teams a shot at the Cup has effectively excluded one of the most likely teams to upset the balance, but there you go. MQ may pick themselves up this year, they did have reasonably bad luck in the draw last year which may have been a contributing factor. But until there are some significant changes to the system, it is hard to see how Maraqua can return to its former glory. May 22, 2014, 2:08 pm NST - Sign ups for the Altador Cup have opened! The Cup is due to start on June 2nd, however the rules page has a group of dates only partially updated for this year. (Other sign up bonuses from previous years remain the same). How many scores can I submit? New caps on the number of times you can submit your scores have been instituted for this year's tournament. Everyone will still be able to strive to achieve their desired rankings and do the utmost to benefit their teams, only now they'll be able to do so without feeling like they have to spend all day playing. So, if you max out: take a deep breath, feel a sense of satisfaction, and maybe go for a walk around the block or make a tasty sandwich? This potentially means there will be new caps on scores sent this year - the situation is unclear at the moment. May 22, 2014, 1:31 pm NST - With the sign ups for the Altador Cup not long away, we can reveal the participants in this year's TNT AC Staff Tournament! Stay tuned for more AC news! May 22, 2014, 12:56 pm NST - With Altador Cup signups set to begin in a little over an hour, we have evidence of the NC accompaniment that will happen alongside regular game play. The Hidden Altador page has been posted and whatever takes place will be starting on June 1st! It appears there may be some sort of searching involved in this event as well. May 22, 2014, 2:29 am NST - We've spent a lot of time talking about the bad side of the brackets and the teams they punish (and boy are there a lot). But today let's focus on a team that, so far at least, the brackets have been kind to - the Haunted Woods. Team HW have had a lackluster career in the Cup since winning in the first outing, reaching an all time low in the AC5 of 12th. Since then though, the team has been on the rise, and the last two years of the bracket system they have managed the exact same placing of 9th. Last year especially, the bracket placing allowed the Haunted Woods to avoid the big teams a lot of the time, giving them a boost in the standings. Certainly, through scores alone, HW was nothing to write home about. 8 was their maximum score, but the majority were 5s and 4s. It's doubtful this lucky streak can last, so a drop in the standings seems likely this year. Even if the team's luck holds though, there's a problem that might prevent them from getting any higher regardless. Although the jump from 9th to 8th is only one position, it is a lot of raw points. Last year, it was 8 points to the nearest team - a difficult score to make up for a mid-range team. With an ASG, HW might fare a lot better. But otherwise it looks to be a year of the same position, or worse. May 21, 2014, 6:26 am NST - The other main powerhouse still sitting in the top few is Krawk Island. Krawk Island is still technically the strongest team in the Cup, narrowly missing out on being the first repeat winners to a Stealth powered Virtupets in the AC6. Last year they finished 4th (on points, of course, the bracket system doesn't allow for the traditional finals playoff). And here's the thing. The brackets punished Krawk Island last year, they really did. There wasn't a single bracket where they weren't placed with at least one ASG powered team. In round 4, they were put up against all three. And yet, despite this, they only finished 7 points behind Roo Island. 7 points from the podium. That's how close it really was. To illustrate it, if Krawk Island had been placed in the Minitheus bracket during round 4 last year, instead of the Vaeolus bracket, they would have taken 3rd place. Krawk Island's strength last year has been overlooked by many. If it returns this year, and if they get a better selection of brackets, Krawk Island may well have a solid chance at pushing an ASG off the podium. And that, in the Cup we now find ourselves in, would really be a glittering achievement. It's unlikely Krawk Island can take the Cup this year, but a medal is a very real possibility that the pirates should be focusing on. May 20, 2014, 11:34 am NST - Stepping outside of the smaller and lower ranked teams for a bit, what of the powerhouses? The Darigan Citadel is a historical powerhouse in the Cup, coming the closest to a repeat win under their own steam and remaining in the top two tiers for their entire AC career. Obviously, with so many ASGs now cornering the market, it is hard for such traditional powerhouses as DC to compete. The sheer size of DC means that it is hard to change tactics to any great effect, but they can only play their best and hope that somehow, ASGs slip up. The size of the Darigan Citadel has always made them a slightly silly choice for an ASG (some estimate that nearly a quarter of all AC players are Darigan, easily the largest team in the Cup), meaning that the effects of any joining them may be mitigated. But perhaps we'll wait and see on that front. The problem with DC is the same one it always has been though. When it becomes clear that success is unlikely, the Darigan team falls apart, and all hope is lost. With such a situation as the Cup is currently in, there is little hope to start with. It is a question as to whether DC will be bringing their best game to the Cup, and if they aren't, they certainly aren't going to best their rivals. May 19, 2014, 6:51 am NST - We glossed over this while discussing cheaters in other teams on previous days. But the time has come - we need to talk about Terror Mountain. Terror Mountain finished 7th last year. Not a bad showing for a team that was once ranked 15th, but also not a position you'd expect a team with cheaters helping to finish in. And that's true, but when you delve into the scores Terror Mountain was posting last year, you get a different picture. The Cup began last year with Terror Mountain posting fairly typical and expected scores in the first bracket. But then the second bracket kicked off, and things changed. Half way through the second bracket, Terror Mountain's scores jumped pretty much overnight, almost doubling in some cases. Alone, of course, this isn't unusual. Many teams began focusing on one game to force up that score for a single day, at the cost of the other three games. But that didn't happen with Terror Mountain - the other scores did not decrease, and the increase lasted for the remainder of the Cup, posting a high score of 14 in the third bracket. When you consider the highest score of Terror Mountain's first bracket showing was 6, you can see something is amiss. Of course, the rise came too late. Showing the scores last year highlighted another flaw of the bracket system (because you can never have enough, it seems). Results from previous brackets directly determine standings in the current bracket. This effectively means that teams that have a bad start to the year have no hope of performing well in the standings, no matter how well they start scoring. Obviously, the vast majority of the Terror Mountain team isn't to blame for this impossible rise, but it is interesting. The Terror Mountain rise wasn't claimed by any ASG, either legitimate or not. This leads to an interesting possibility. Unlike other groups, this one might be sticking to the team, and if that's the case, Terror Mountain might be a fifth contender for the Cup this year. May 18, 2014, 9:15 am NST - After taking the Cup in AC6, Virtupets have returned to old form and fallen dramatically in the standings. Could the new year bring a changed team? Well, first, let's make something clear. Virtupets won during the AC6 because they had the backing of Stealth, one of the major All Star Groups (in its first outing). This may seem like a trivial fact, but keep in mind what happened last year. SOTAC returned to the team where they started, and ended up in a podium position. Could Stealth this year be tempted to return to the team where they started, and if they did, would they see similar results? Well, certainly, any team that gets an ASG will be top tier. No doubt about that. But enough to win the Cup? Perhaps not. Last year proved that legitimate ASGs cannot truly compete with cheaters, but more than that, Virtupets is not in the same position it once was. Before gaining the main bulk of Stealth support, Virtupets was already in their ascendancy, charting a steady rise over three years. The reverse is now true, however. The winner's curse took them down to 13th, and last year they fell further to 16th. The base Virtupets team is not the same one that Stealth joined, and that may alter their prospects. Without an ASG, Virtupets will struggle to regain mid-range standings (unless of course the brackets are in their favor). But I would be surprised if, either way, we did not see at least some rise from the team this year. May 17, 2014, 1:23 pm NST - Brightvale is a team that has flown under the radar for a number of years now. What will this season hold? Brightvale has charted a steady recovery from their low of 16th in the AC3, though they still haven't equaled their initial showing of 8th. Last year's final position of 11th was the second time in a row (a position, incidentally, that Tyrannia held for a long time). It seems like an unlikely target for ASGs, but perhaps just that is enough to make it more likely, as ASGs can second guess those who try and figure out their movements. It is a team roughly the same size as Tyrannia, occupying a similar spot in the standings. Seems like a perfect fit, right? Perhaps, but then again, perhaps not. You see, Brightvale isn't really in the same position that Tyrannia once was. The brackets are a tricky system that can paint a different view of a team compared to the old round robin format. Brightvale did get 11th last year, but this was largely as a result of being placed in the 'easy' (i.e. lacking an ASG) bracket several times. This perhaps has inflated the team's standing, and if they don't get ASG backing, may lead to what on the surface may seem like an unexpected drop in the coming season. That said, Brightvale may get a decent pick of brackets again. And if that's the case, there's no reason why they can't improve on last year's showing. May 16, 2014, 11:01 am NST - Amongst the low ranked teams, Moltara is certainly statistically the worst. Though a reputation is hard to shift - to many, Faerieland is still the worst team, despite leaving that title behind a long time ago. Faerieland has remained down at the bottom of the standings since the creation of the Cup, never rising above 15th. Although certainly not the worst team in the Cup any longer, they are perhaps the most consistently bad team. It has long been a mystery exactly why, given that the only statements TNT made about the original AC suggested that Faerieland was in fact a favourite. It has been suggested that whilst people do join Faerieland, they do not then actively play for the team. I know, I know, the old argument that freeloaders don't alter standings. But that depends on what you class as a freeloader. In a system with averages, people playing less (but not zero) games must hurt that average compared with people sending lots of scores. And that poses a problem to Faerieland in terms of ASGs. They capitalise on small teams, and while there is no doubt that an ASG could lift Faerieland up, the relative size of the team compared to others lower down the standings may lessen the rise. This, and the perception that playing as Faerieland might be a bit... garish, may turn ASGs off Faerieland as a potential target. Without such a boost, it looks to be another year of the same old stuff for Faerieland. A finishing of above 15th would be a real goal to aim for, but of course the bracket system puts much of this up to chance. Given that Faerieland typically occupies an initial bracket with an ASG-influenced team due to the previous year's standings, they certainly are facing an uphill battle. May 15, 2014, 5:12 am NST - The key for an ASG's success is to pick a small team. So which are the smallest teams? Well, Moltara seems a likely candidate. Having only been a participant in the Cup since the AC5, Moltara hasn't had as much time to form a large fanbase as many other teams. Their scores reflect this, quickly usurping Faerieland's position as the worst team ever, racking up loss after loss after loss. Moltara have finished dead last three of the four years since they arrived, and it can't get much worse than that. No doubt an ASG could give Moltara a boost up to the top leagues if not the podium itself. Without an ASG though, the future for Team Moltara is dire. The bracket system punishes Moltara more than any other team. No matter what minor daily wins they might get, the brackets mean they are always awarded minimum points. A minor blip during the AC7 saw them rise to 15th, but it was right back to 18th last year. Moltara simply does not have the strength to see a significant rise without outside help, I fear. May 14, 2014, 3:39 am NST - Yesterday we ended by discussing the sad truth of the Altador Cup - that ASGs decide the winners. Today, let's start looking at the most likely recipients (willing or unwilling) of the ASGs attention. Kiko Lake has been slated as a possible candidate for ASG teams for the last few years, and as the others dry up, it becomes steadily more likely. Kiko Lake is a historically small team and it was shown during the AC7 that relatively small numbers of players can produce a meteoric rise for the team. But without ASG help, what lies ahead for Kiko Lake? Well, last year they finished 14th, the 4th time they have held that position. They've been consistently in the 12th-16th range for the majority of the Cup's history, and it doesn't seem as if a change is entirely likely, especially if the bracket format returns to the Cup. Last year poor brackets put Kiko Lake up against most of the major players, and given that the brackets are not entirely random, it is likely the same situation will repeat this year. So, in short, an ASG might just push Kiko Lake to victory. But otherwise, it seems like it may be another year of same old same old for the team. May 13, 2014, 10:26 am NST - The final of the three teams standing on the podium last year was Roo Island in 3rd, but what will this year hold? Roo Island, had it not been for cheaters, had a solid chance at winning last year's Cup and becoming the first repeat champions in Altador Cup history. But it wasn't to be - and Roo Island certainly didn't get to the podium by themselves either. Perhaps the most famous ASG out there, SOTAC (Secret Order of the Altador Cup), lent Roo Island their aid. SOTAC play legitimately, so Roo Island can at least be happy in that their position was earned, and SOTAC loosely formed during Roo Island's ascent to victory in the AC3, so there was history there. But for this year, it does put Roo Island in the same boat as Altador and Tyrannia. ASGs, even those with heritage like SOTAC, rarely stay in the same place twice. It is unlikely that Roo Island will have the kind of support that got them to the podium. So what happened last time SOTAC left? Well, after winning, they fell to 9th, and have yo-yoed in the standings since. It seems likely that a fall of similar proportions is on the cards this year. And this is the horrible truth of the current Altador Cup. With 4 major ASGs, two legitimate and two cheating, it is impossible for any team to get on the podium under their own steam. Those hoping to win must now either court the favor of ASGs, or hope against hope that they all accidentally join the same team, freeing up spaces on the podium. It isn't the most optimistic view, but it is the most real - Roo Island, like many teams, must either hope for outside help, or a change to the Cup, in order to see success again. May 12, 2014, 1:35 pm NST - So we come to last year's second place team - Altador. Before last year, there's a sentence you'd think you'd never see. Altador, until last year, was considered one of the worst teams in the Altador Cup. Never placing above 13th, and placing 17th three years in a row, it was hard to see how Altador would ever really improve. But then, along came the ASGs. At the beginning of last season, it became clear that Stealth, the legitimate ASG that helped Virtupets win the AC6 and Mystery Island gain 2nd in the AC7, had joined Altador. Altador came out punching, posting scores consistently 2-3 points above all of their rivals. But then, as time went on, it became clear that Stealth wasn't all the help Altador was getting. By the time Altador started posting 14s reliably, it was clear they also had cheaters - a different group, distinct from those on Tyrannia, had emerged. And so Altador finds itself in a situation all too similar to Tyrannia. To be blunt, without an ASG, Altador will not be winning a Cup any time soon. Expect a big fall this year, and I think, perhaps the most dramatic fall we've seen yet. Altador was only barely scoring pre-ASG, and no doubt it will have hurt the team. I honestly would not be surprised if Altador finished dead last this year. But Altador need to be looking to the future, not just this year. It takes time to recover after an ASG powered win, but it can be done. It is a long road ahead, but Altador can make it. May 11, 2014, 1:59 pm NST - As the Altador Cup arrives once more, this time for the ninth tournament, it is time for us to begin our regular recap of the various teams. We'll start things off with Team Tyrannia, last year's champions. As with much of last year's Cup, the cheers of the victorious Tyrannian fans were tainted by the boos of their opposition. Tyrannia had outside help last year, and unlike the legitimate All-Star Groups of old, the Tyrannian helpers were cheaters. This cheating group had joined Meridell the year before, helping them to 2nd place. The inclusion of scores being shown last year helped show the extent of the cheating - Tyrannia was gaining scores up to a whopping 18 when most other teams were only managing 6s and 7s. But that's history - let's focus on what's to come. Obviously, it is unlikely the cheaters will pick Tyrannia again, allowing the team to play under their own merits once more. However, the winner's curse will also be in effect. The chances of a repeat win for Tyrannia are very slim indeed. Looking at teams that have been in a similar situation as Tyrannia before, we can see that after Virtupets's All-Star Group powered victory during the AC6, they fell to 13th the year after. A similar decline is likely for the prehistoric team, and given that for three years solid they finished 11th that wouldn't be an unfamiliar position. With a little luck in the brackets (if brackets return, that is), Tyrannia can push a little higher - but they'll need to improve upon their relatively lacking Yooyuball record. It may not be Tyrannia's year to take the Cup, but it is at least Tyrannia's year to be Team Tyrannia again. This page was last updated on January 13, 2015.